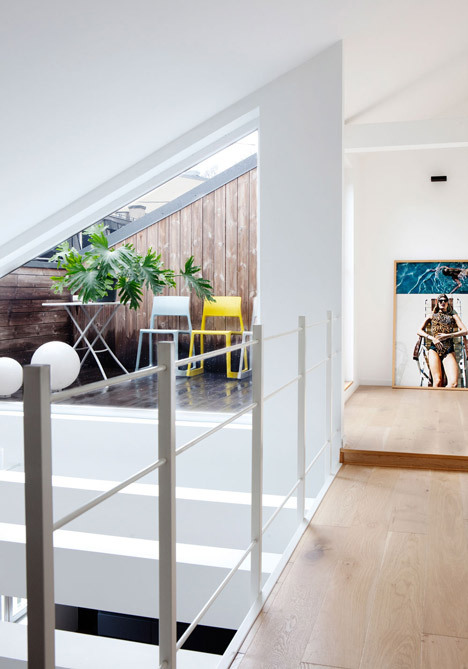 My attention was attracted by "floating" stairs. 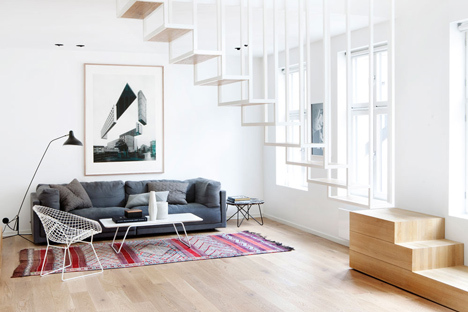 Loft in Oslo created by Haptic architecture group of London looks indeed fascinating. 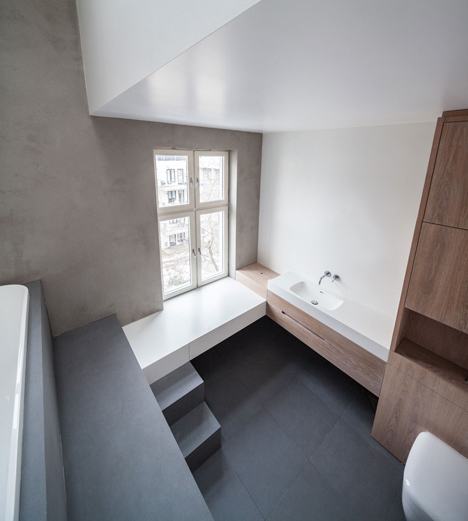 The first detail which immediately attracted my attention is the “floating” stairs in the air which rather delicately pass through to a wooden construction which serves as stairs as well as small table and drawers. 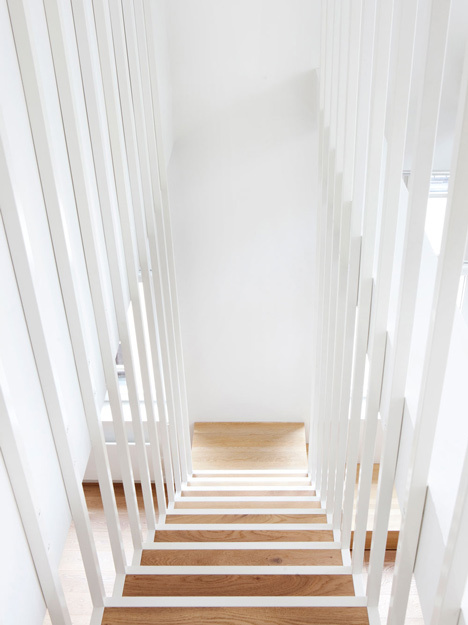 It’s a 19th century construction space arranged in two levels which has a connective as well as separating element which is the latter stairs. 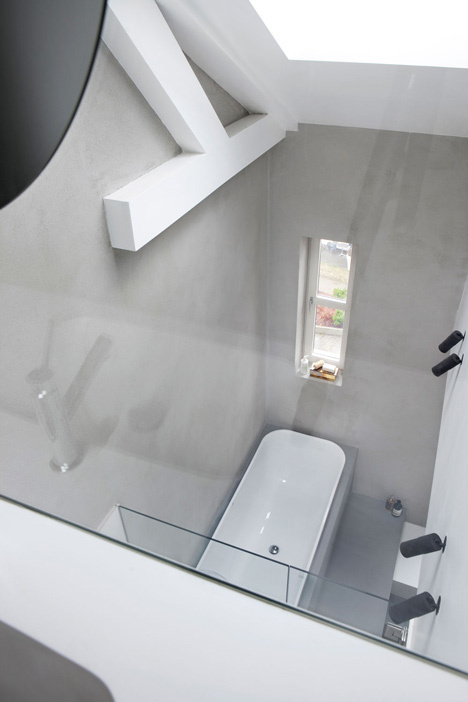 As a matter of fact, they unite the ground floor with the upper one and separate kitchen and lounge zones. 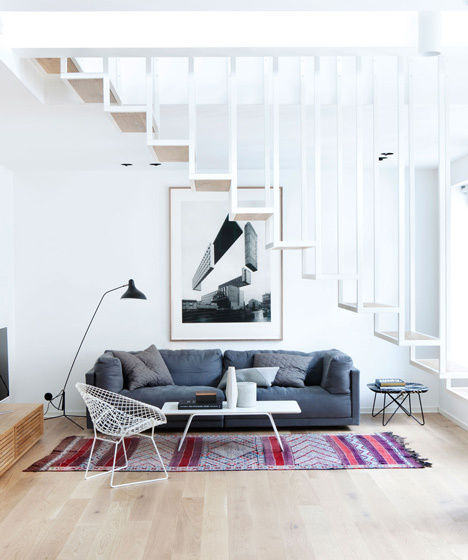 Stairs are made of white steel in a powder method and look very light as well as comfortable – there’s the place to catch hold of. 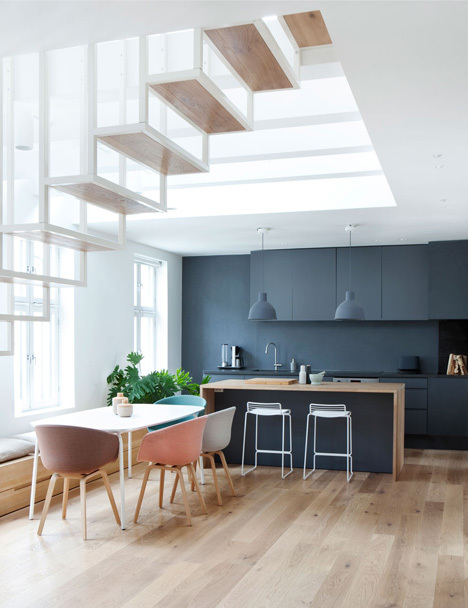 There’s a colour contrast between a sitting room and a kitchen, however, it looks indeed very “delicious”. 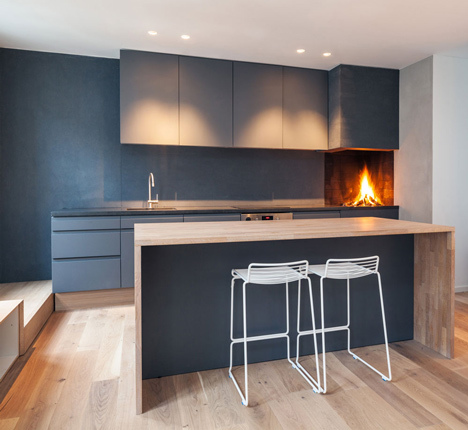 One more unusual detail is a very small fireplace next to a kitchen work table which can be joined and to a production process! 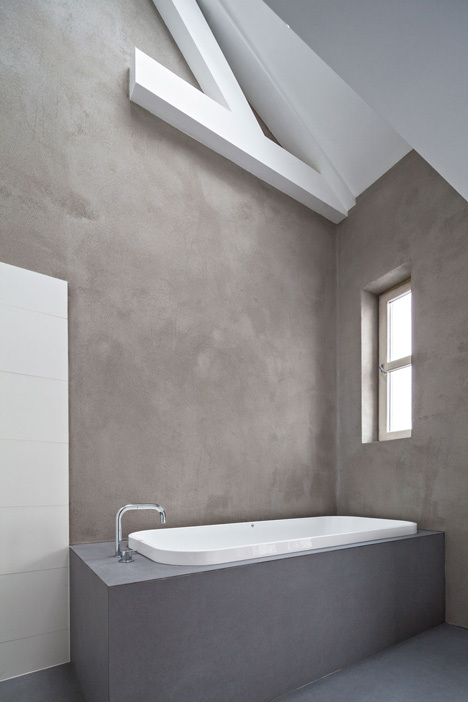 Well, and a third and veeeeeery interesting element that was never seen and causes some questions due to a comfort – two levels of different heights in a bathroom where in one of them you can use a washbasin and in another one after climbing the stairs a bath and a shower! 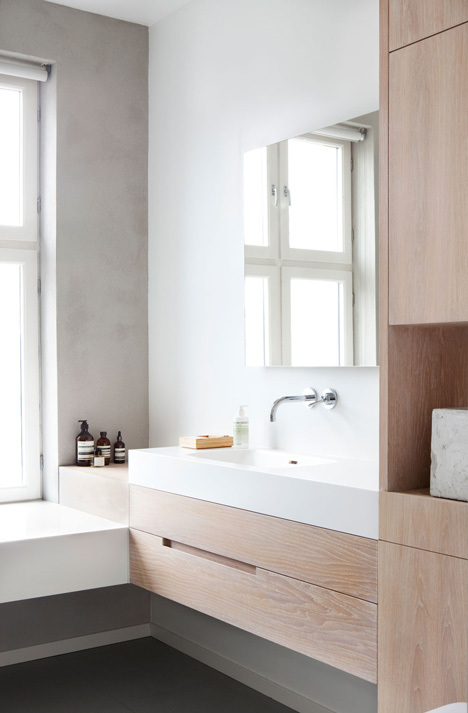 In general, this loft in Oslo charmed me – there’re a lot of yet unseen and original solutions, it’s obvious that brave people are going to use this loft and it’s created by a very creative team.